Seattle Streetcar in Pioneer Square. The front page of yesterday’s The Seattle Times read “Seattle’s new streetcars may be too big for tracks.” It was a shocking headline–too shocking to be true. Both the South Lake Union and First Hill Streetcars use standard gauge tracks (1.435 meters) and so too will the Center City Connector streetcar that aims to link the two unconnected lines–if the project manages to survive the Durkan administration. Even if all three lines weren’t using standard gauge–and to be clear they are–streetcars are custom built; manufacturers adapt to specifications. Mayor Durkan’s motivations in broadcasting streetcar doubts seems to betray a desire to kill the project, which is already on indefinite hold. Mayor Durkan paused streetcar construction in March, promised to release an independent review in June, delayed that and asked for streetcar alternatives to be studied, and is currently working with contractor KPMG–apparently on the hunt for more dirt–to now apparently be released in August. By publicly raising these “will it fit” questions at a sensitive time while sitting on internal SDOT documents and the KPMG report that might shed some light, Mayor Durkan is burying the streetcar in bad press and likely knowingly. Let’s not overlook that she is accusing her own transportation agency of being so inept that it ordered streetcars that do not fit the tracks that it built. The Urbanist’s inquiries to Seattle Department of Transportation (SDOT) about the gauge and barn sizing issue were forwarded to the Mayor’s office. It could be the mayor is not allowing SDOT to comment on streetcar issues. Much is at stake as Mayor Durkan decides the fate of the Center City Connector streetcar. SDOT projected the Center City Connector would increase Seattle’s daily streetcar ridership to 20,000 in its first year, more than any bus in the region. One connected five-mile-long streetcar is simply much more useful than two disconnected stubby lines. Additionally, the Center City Connector would get exclusive right-of-way and the corridor facing serious capacity issues. The new line would be one of the highest quality transit corridors in the city. 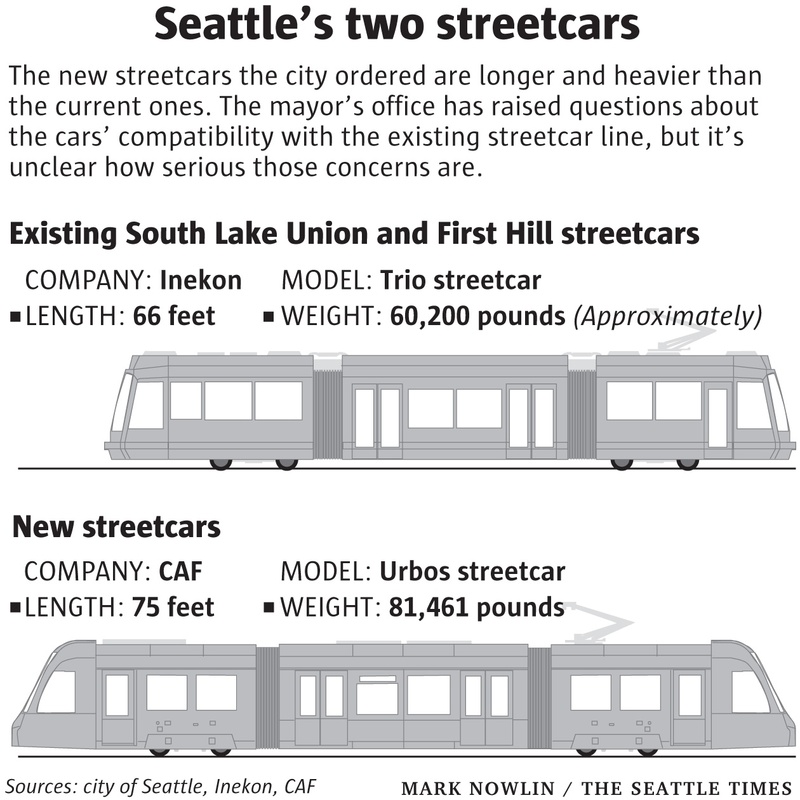 The streetcars ordered were longer and heavier because SDOT planned on them carrying heavier loads of passengers. The mayor cannot say she wants high ridership without getting on board with vehicles large enough to carry the load. Chinatown-International District business owners pointed out that they toughed out the construction of the First Hill Streetcar with the promise the line would one day be connected to Downtown. Now, the City appears to be getting forgetful about those assurances. The pro-streetcar coalition couldn’t even get a meeting with the mayor for months. Finally, they got to sit down with Deputy Mayor Shefali Ranganathan on Tuesday, as David Gutman reported. The Seattle Times front page story on July 25th 2018. 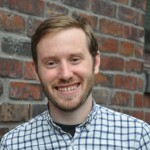 Mayor Durkan released her extensive list of questions (without revealing the answers) in a July 24th blog post; she also raised the “will it fit” question in her interview with KUOW on July 5th. Councilmember Lisa Herbold has been echoing the mayor’s concerns and likewise has seem bent on canceling the project for some time. She wrote on her blog that she had confirmed the mayor’s allegation that the streetcars wouldn’t fit in the maintenance barns. “Council Central Staff, on my request, has verified the accuracy of this report; it appears the error will require either a change order for the design of the streetcars or incur new costs for construction of new or retrofitted maintenance barns,” Herbold wrote. While the barn issue may have some validity, the fix does seem easy enough: just reconfigure or expand one of the barns (cough: parking lot). The cost may actually be rather minor. When it comes to track gauge, it’s not clear what the mayor is asserting. Standard gauge isn’t just a name; it’s nearly universal on streetcar and light rail projects built in the US going back decades. The width of the vehicles are also nearly identical. “But the new streetcars do not seem to be wider than the current ones,” Gutman wrote in his front page story. “The contract requests streetcars that are 2.45 meters wide (about 8 feet), while Inekon says the current streetcars are 2.46 meters wide. And both sets of streetcars have a track gauge specified at an identical 1.435 meters.” Unfortunately, many more people read the headline than read below the fold. Councilmember Rob Johnson said he’s not worried about the streetcar not fitting in Gutman’s follow-up story. Yesterday Erica Barnett reported that Mayor Durkan is planning to follow up soon-to-depart interim SDOT director Goran Sparrman with another interim director, likely promoting chief of staff Genessee Adkins. Mayor Durkan seems to have SDOT on a short leash. She apparently has identified management issues, but she’s not rushing to fix them based on Barnett’s reporting. For the sake of not only the streetcar project, but every capital project in the city, it’s imperative that SDOT gets leaders with mandates to lead rather than lingering on in an interim basis. It’d also help if the mayor was proactively supporting projects rather than sniping at them from the sidelines. Isn’t it the body of the streetcar not the track gauge she’s referring too? She, and her accountant at KPMG seem to be confused over the term “Track Gauge” and “Loading Gauge”. That an engineer was not brought in to clarify is troubling, though it may be intentional on the Mayor’s part. That the Newspaper of Record for Seattle has Transportation reporters who share this confusion and have apparently never bothered to learn how far apart railroad tracks in North America generally are is most disturbing, given especially the city’s role in shipping, and Boeing’s dependence on rail transportation. The Times article I read seemed fairly clear, that the “size” issue was load. The track width problem seemed to have come up in the beginning, as word was getting out that there was a problem. The Times reporter could have gone to more trouble to be clear about the load thing, but at the time it apparently was all kind of fuzzy anyway. A longer train car needs a bigger turning radius, even on the same track. A longer car needs a wider clearance around curves. Only if the distance between trucks is different, which it dies not appear to be. The length difference is in the nose(s), and that may be due to improvements in what is called “collision management” (crashworthy-ness). There will be a need to check the clearance on outside of curves, and little else. Yes you seem to be agreeing with me. They will need to make sure the existing clearance around the curves is wide enough for the new cars. Is there evidence that it won’t fit? This really put me off. At first, I thought the mayor might be doing a responsible review of the project. Now that she’s delayed releasing the report and is putting this kind of non-sensical information. I think a lot of people were ambivalent about this project, but the final decision should be based on real data, not wild speculation or emotion. The ridership projection should be the key component. Pretty much ALL transit projects are running over budget right now due to rising construction costs. However, we don’t have any other project in the near term that would have ridership numbers near where the streetcar is projected. If, as it has been suggested on this blog, the review confirmed the ridership numbers, I think we should go ahead with the project. The mayor refusing to release that info is very disturbing.